Who Is Your Olympic Athlete Body Match? 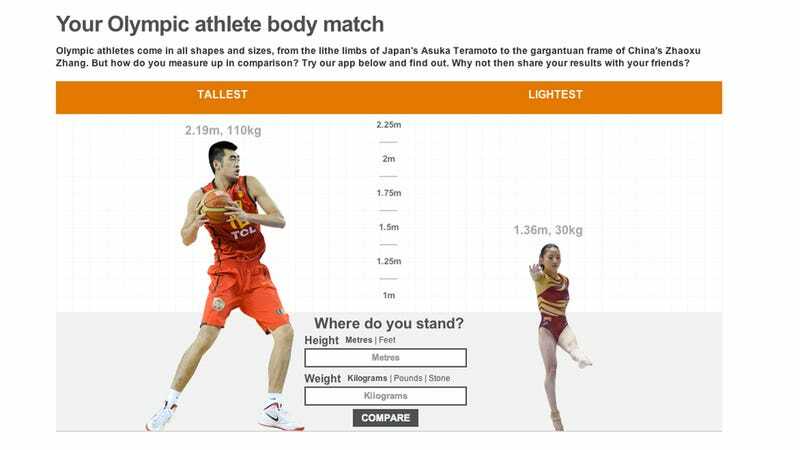 This is so much fun: If you enter your height and weight into the amazing gizmo at the BBC's website, you can find out how you measure up in comparison to Olympic athletes. Here on staff at the HQ, we've got a hammer-thrower, a ping-pong champ, a boxer, a diver, and a 100M runner.